[Biometricupdate.com] Terminal 1 passengers at London’s Heathrowairport are being invited to take part in a two-month ‘self-boarding’ trial in partnership with South African Airways. Using these self-boarding gates, passengers pass through an automatic electronic barrier which takes an infra-red scan of their face. This information is checked against the biometric data that was taken at the check-in stage. If the data matches, the barrier opens and the passenger can pass through and board their flight. According to a statement from the airport, this now means that a passenger’s identity needs to be checked by airline staff only once in the entire departure process. “We are working in partnership with our airlines to trial this technology which should help make our passengers’ journeys smoother and simpler. Since its introduction we have had positive feedback from both airlines and passengers,” Ian Hanson, Heathrow’s Terminal 1 director said. Reported in BiometricUpdate.com, similar self-service gates at Schiphol Airport in Amsterdam have by now processed over one million passengers. The gates at the Schiphol airport were made by Vision-Box, a Portuguese company specializing in automated border control systems and have also recently installed self-service gates at Riga International in Latvia. Likewise, the Gardermoen Airport in Oslo, Norway, is allowing passengers to check themselves through the gates using a biometric EasyPASS gate system. 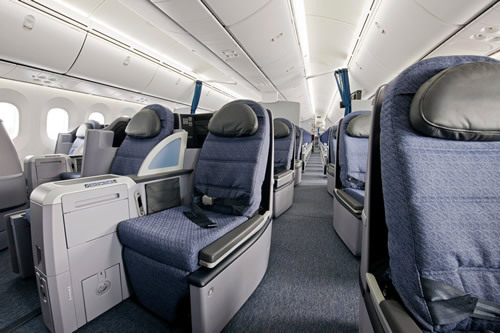 Read the original story at Biometricupdate.com…..
[Meridian] The world’s newest passenger plane, the Boeing 787 Dreamliner will make its first crossing across the Atlantic from Heathrow in February. 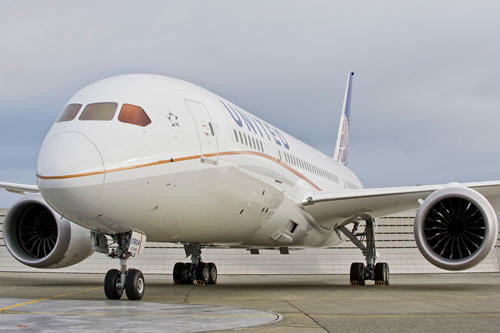 United Airlines will make the first flight from to Houston from Heathrow in February. It will also fly from Amsterdam in December. The Dreamliner was partly developed at Farmborough and some of its components are built in Hampshire, Dorset, Kent and Sussex. Around one thousand are on order for the plane that burns less fuel and has many passenger benefits including bigger windows, more space and a new clean air system and lighting aimed at reducing jet lag. Qatar Airways also plan to operate a 787 from Heathrow later this year and both Virgin Atlantic and BA have ordered the plane. Thomson will be the first UK airline to fly the plane from Gatwick early next year. Read the original story at ITV News-Meridian…..
[BBC News] A passenger plane was forced to land at Amsterdam‘s Schiphol airport and boarded by Dutch forces amid fears of a hijacking that proved unfounded. Dutch F-16 fighters were scrambled to intercept the aircraft, en route from Malaga, Spain. Once it landed at Schiphol it was boarded by armed security forces who discovered the false alarm. A miscommunication between the pilot and the control tower reportedly triggered the confusion. “There was never any danger. There was a lack of communication between the pilot and the tower and the airport has activated the security protocol,” a spokeswoman for Spanish carrier Vueling told Reuters news agency. Dutch broadcaster NOS spoke to a passenger who said the situation on board had been “calm”. It was the second drama at the airport on Wednesday. Earlier, part of Schiphol was closed and flights delayed after a suspected World War II bomb was discovered by workers digging near Pier C, which connects the main plaza with Departure Hall One. 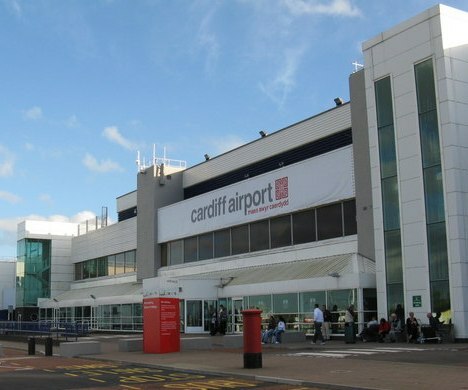 [The Monday Line from UK Progressive] With the abrupt departure last week of embattled TBI Albertis’ Manager Patrick Duffy, Cardiff Airport now begins the difficult task of rebuilding airline routes, services, facilities and business traveller confidence. For the last decade it has been both an embarrassment and running joke of an airport having lost another 13% of its passengers in 2011. An airport that was once worth upwards of £200 million pounds, handled four regular daily-service carriers (sorry sun and booze charter operators can fly from any airport) and 2 million+ business travellers relied on in the past, handled just over 1.2 million travellers in the last year. Having travelled a week ago to the USA, it was far less of a hassle to commute to London Heathrow Airport where travel options were in the 10s vs the one flight with a six-hour layover to an airport 40 miles outside of Washington via a counter-intuitive opposite direction connection over Amsterdam. And yet the self-serving promotional e-mails for this failed airport and its one remaining international airline, KLM, continue to clutter my In Box offering fares and routes far more convoluted and 40% higher. 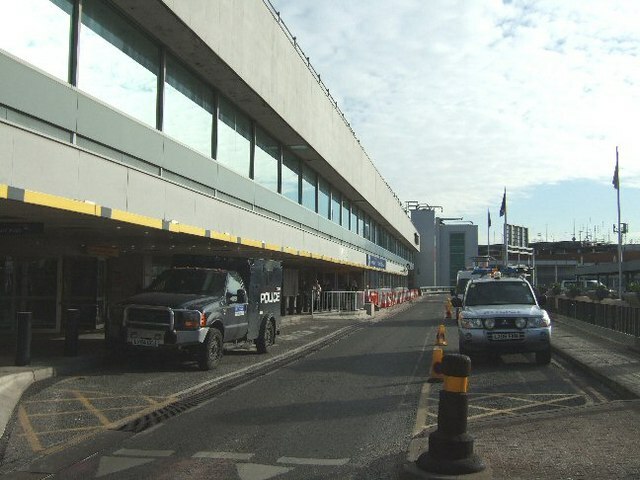 Worth just £30 million pounds today, the future of the airport remains in the hands of an owner/operator that could just sell and run to avoid the stain and embarrassment of this airport’s failure. Too, the facility’s growing inability to work with the Welsh Government and local businesses now has the airport’s existence hangs on a knife’s edge as TBI Albertis now have a facility worth only a fraction of its high water mark valuation. [EDP24] This morning an engine failure on a KLM flight forced an emergency landing at Norwich International Airport. Passengers on a flight diverted to Norwich International Airport were given a scare this morning, after one of the engines on their plane shut down. The KLM Fokker 70 on a flight from Teeside to Amsterdam was diverted to Norwich because of the problem, landing safely at 11.05am with 45 passengers and crew on board. The plane taxied to an empty runway and the integrated emergency plan involving fire and police services completed an inspection. The passengers are now waiting to be put on to a different connecting flight to Amsterdam. Barcelona: A Boeing 737 belonging to Dutch airline KLM was forced to fly in a spare tyre all the way from its base in Amsterdam’s Schiphol airport, after punctures in two of its landing wheels grounded the aircraft on Sunday morning for many hours. KLM took the decision to take such an extraordinary step in order to put the stranded aircraft back into service. Its support facilities partner in the Spanish airport could only supply one spare unit, so as there was no alternative another spare had to be flown hundreds of miles to Barcelona. Commentators at the scene of the incident speculated that the facilities workshops for Iberia, a major carrier in the airport, flies Airbus aircraft and thus their spares are incompatible. After the spare arrived and was fitted successfully, the flight took off for its original destination. The delay totalled seven hours. Sources on the aircraft say that many passengers were not happy as the severe delays caused them to completely miss their connections in Amsterdam. [Evening Chronicle] GEORDIES will have even more chances to get away after easyJet announced a series of new routes … including one from Newcastle to Amsterdam. The no-frills airline will a start a service from Newcastle International Airport to Schiphol Airport for its winter schedule. The route will add to the five flights a day operated by KLM between the two cities. There is also an existing ferry link provided by DFDS Seaways at the Port of Tyne. Hugh Aitken, easyJets UK commercial manager, said: The launch of our winter schedule offers both leisure and business passengers the best choice of low-fare destinations all year round at Newcastle International Airport. EasyJet delivers the best value fares to the places our customers tell us they most want to visit and well continue to make travel easy and affordable for all. Some 1,800 winter flights are now on sale from Newcastle, offering a total of more than 300,000 seats from October 28 through to February 2013…..
Read the full story at chroniclelive.co.uk…. Schiphol Group and Lovers Company have launched a behind the scenes multimedia bus tour that will provide visitors with the opportunity to gain access to usually restricted areas, including the fire service, the snow clearance fleet, the cargo aprons with their large hangars, the terminal forprivate jets and the old air traffic control tower. Visitors gain access to usually restricted areas, including the fire service, the snow clearance fleet, the cargo aprons with their large hangars, the terminal for private jets and the old air traffic control tower. The tour is aimed at both young and old visitors, day-trippers, tourists and passengers arriving or transferring at Amsterdam Airport Schiphol. The tour will begin with passengers being made to feel they are entering an aircraft as they board the bus thanks to sounds from the air traffic control tower, the welcome screens and their boarding passes. A video presentation will then take the visitors through Schiphol operations, explaining information on the terminal, the runways, flight paths, runway maintenance, baggage and the bird control units. The tour will also feature past anecdotes, such as the fact that the first flight in 1916 was a military flight, that cargo was also transported during the first passenger flight in 1920, and that there are three different theories on the origin of the name ‘Schiphol’. Read the full Schiphol Group article here….